UC Master Gardeners are volunteers trained and certified by the University of California to provide community service and educational outreach that helps home gardeners and community organizations garden sustainably and create a healthy environment. 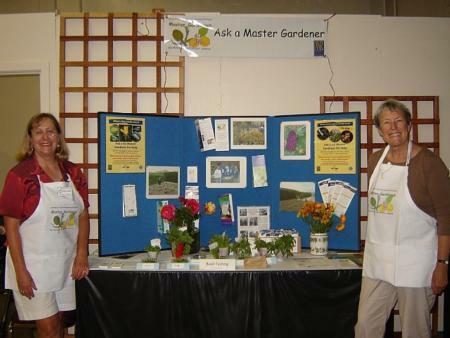 After receiving many hours of training from UC scientists and other experts, UC Master Gardener volunteers serve their communities by answering questions from the public, teaching workshops, leading plant clinics, and speaking on a variety of subjects. Each UC Master Gardener Program is administered by the University of California Cooperative Extension (UCCE) at the county level. For more information about programs offered by San Mateo and San Francisco counties UCCE please visit UC Cooperative Extension. You can contact us in our office in Half Moon Bay or at events throughout both counties.